Qigong is circulation; term “blood flow” is synonymous to “moving Qi”. Qi postures instantly improve blood flow and strengthen one’s pulse. Studies reveal qigong boosts immune system and helps reverse cancer. Qigong techniques originate back to ancient Chinese mountain people who were Activated by Qi. Most Acupuncturists are strong believers in qigong and some actually prescribe qigong exercises to their patients in between treatments. Qigong requires slower movements to build up your electromagnetic field. Qigong gives a “sensation of energy” and is highly tangible. Practiced regularly, our Level-1 and Level-2 qigong forms help improve digestion, sleep and are excellent to relieve pain with the microcirculation boosting effect Qi has. Qi moves Blood/Energy in profound ways. Digestion improves and circulation is enhanced within minutes of practice. Take our Qi Challenge to practice everyday 30 days. 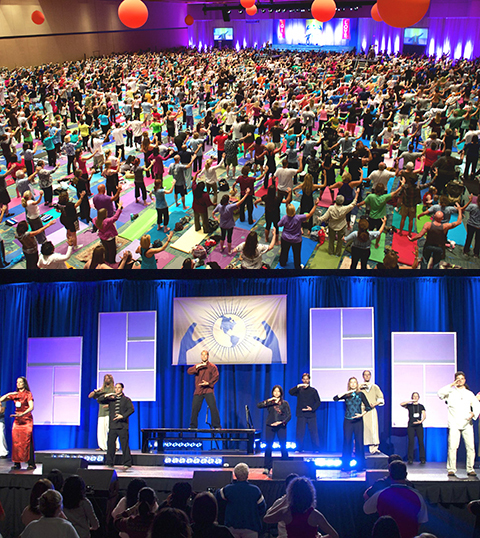 Level-1 and Level-2 Qigong forms are the most powerful routines we teach and both are loved by live audiences for over a decade. HD Video – 42 Min: Routine takes place in bamboo garden with realistic energy animation and custom music. Level-1 is our main practice and the video’s animation deepens your experience of Qi. Thousands of instructors in America have learned to teach using this video. Noticeably strengthens magnetic field and increases energy. Video first released in 2005, upgraded in 2007 and HD remastered 2013. 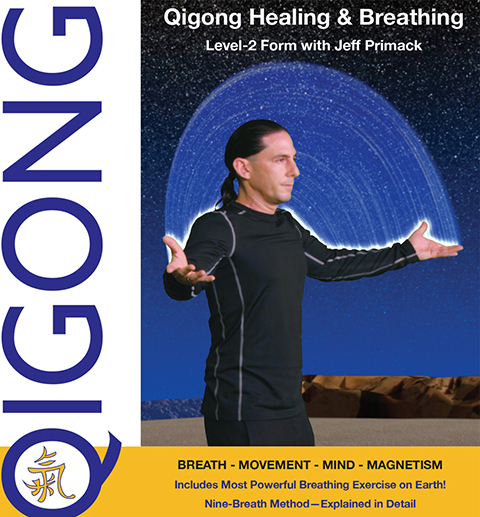 Includes Bonus – 10 Min: Walking Qigong. Filmed in gardens footage shows three ways to Strengthen Qi while walking. Level-2 video is the latest creation from Supreme Science Qigong Center and took many years to produce. Improved animations, camera views and film production has moved many qigong instructors to declare this new 2017 video is our best ever. HD Video – 34 Min: Routine takes place under a night sky and emphasizes connecting to God, Source and Stars. It uses Blood and Qi washing movements and ends with 9-Breath Method to leave you feeling euphoric, oxygenated and living your best life. 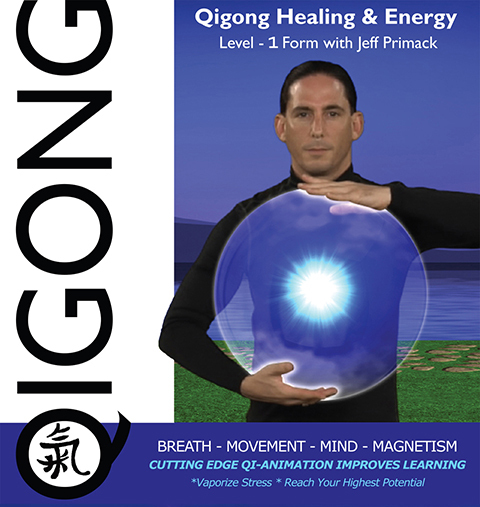 It is an awesome Qigong Practice with realistic energy animation and custom music. Includes Bonus – 15 Min: Nine-Breath Method with Jeff and Kai. These two instructors who have taught together for ten years share their most powerful breathing technique more precisely. 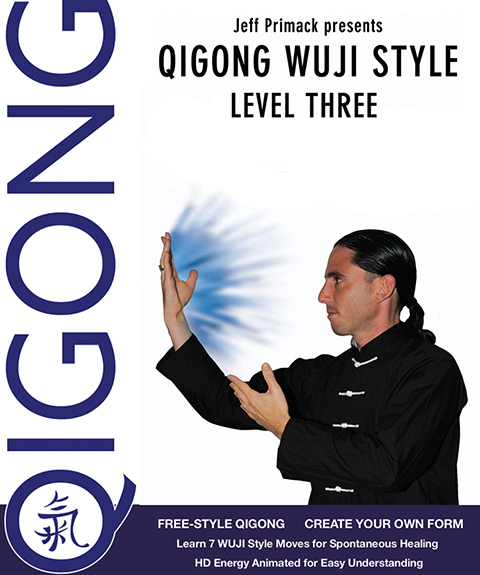 Level-3 Wuji is a Free-Style Qigong. We learn to STEP and BALANCE like in Tai Chi and 7-Types of Qigong movements to create your own form. Experience is magnetic and brings deep healing. Includes: 40 minutes Animated Qigong Theory. Instruction in the 7-Types of Qigong Movements. With bonus: Advanced Instructor Wuji Session. Ball Making: SPHERES of Energy Magnetize in our Hands for Healing. Push Hands: DIRECTION of Energy Magnetically Assists Your Moves. Projecting: SENDING of Energy from One Hand to Another to Build Qi. Locomotive: ROTATING of Energy like Bars on Trains Helps Transition. Cleansing: SWEEPING of Energy Moves Stagnant Blood & Qi Down. Swimming: ROUNDING of Energy Presses on Qi Field with Entire Body.